The Blue Bell, Tattershall Thorpe, Lincs. A couple of weeks ago, I had two nights in Lincolnshire. 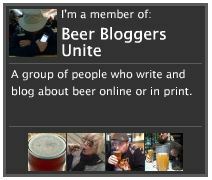 There are 114 pubs in the Good Beer Guide section for Lincolnshire, I got to six of them. Maybe not representative of the county then, and no doubt I missed many people’s favourites, but hey, I only had two nights. On the first night, I took a little trip out to South Kyme to visit the Hume Arms. 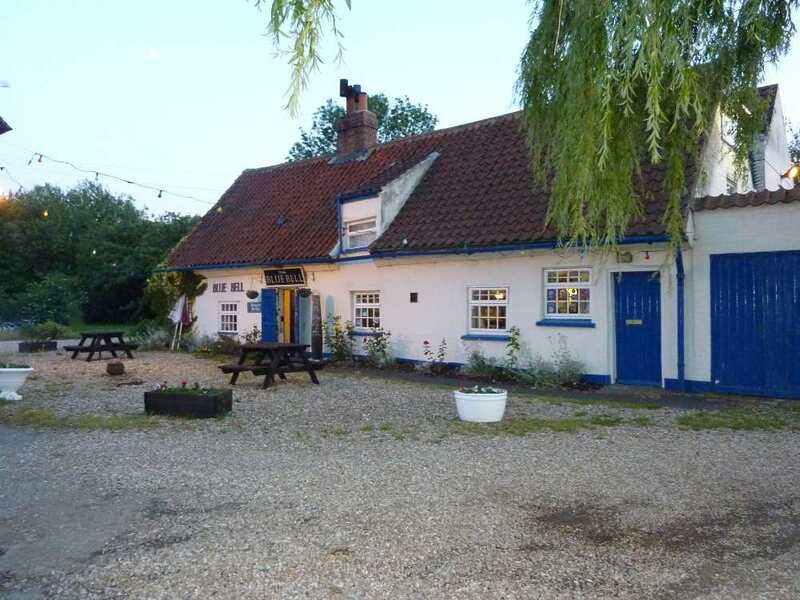 This is a large, roomy, Victorian pub, on the High Street of quiet South Kyme village. A pleasant spot, close to the ‘Kyme Eau’ where residents park their boats on the water at the bottom of their gardens. The pub has evidently been modernised recently, resulting in a light, airy and pleasant space. The door is a new, bright blue affair and the traditional pub sign has been replaced with a splashy silver one over the door that reads ‘The Hume’. The central bar is long and curves round to face the door, with tall, comfortably padded bar chairs stationed around it. There were four handpumps on the bar, but only two were in use, one sporting Elgood’s Cambridge Ale and the other Black Sheep. I didn’t sample the Black Sheep, but the Cambridge Ale was well-kept and on good form. Moving on, I next stopped at the long, low building that is the Blue Bell at Tattershall Thorpe. My first impression was that the building looked just like a mediaeval longhouse. Inside, the age becomes apparent. Low, heavily beamed ceilings and walls, along with wooden and tile floors give the impression of real age. The walls are covered with memorabilia of the aircraft and airmen who flew from airfields round here during the Second World War – photos of bomber crews and their aircraft, small pieces of a Lancaster bomber, and a DSO award (complete with King George VI’s signature). The landlord, seeing my interest, showed me into a back room where even more heavy timbers could be seen – many clearly reused, probably from broken up ships. ‘You can’t hammer a nail into these,’ he said, pointing at a beam that had two brand new brass screw protruding from it. Well, quite. He told me that the building dated from 1257. Ah, it was a longhouse, then. There were four real ales on offer at the Blue Bell, Dixon’s Colour of Spring, Wells Eagle IPA, Black Sheep and Tim Taylor’s Landlord. I plumped for a Dixon’s, this being a new tick for me. I found it to be thin and unpleasant, but it may have been dredging the bottom of the barrel, so I’ll give it another go in the future. The Well’s Eagle, though, was in very good condition. Everyone in the bar was very friendly, and the Blue Bell felt like one of those pubs that you very quickly feel at home in. The following day, I travelled into Boston, with its famous ‘Stump’ (the huge tower of St Botolph’s church, the largest parish church in England). The Stump is such a significant landmark that it is used as a navigation aid by shipping. It was a poor day to visit, the rain was seriously heavy, and I repaired to Boston’s Wetherspoons, the Moon Under Water, for my lunch. Six pumps graced the bar, an eclectic mix of Greene King Abbot Ale, Ruddles Best, Wells Bombardier, Bateman’s XXXB, Moorhouse’s Pendle Witches Brew and Bateman’s Salem Porter. I ordered some food and a pint of the Salem Porter. I always like to try something new, and Salem was new to me. It has a lovely, very nearly black colour, and there is slight malt on the nose. The mouthfeel is smooth, even silky. The taste is of dark chocolatey malt with black coffee and hints of liquorice. The taste remains fairly bitter throughout, especially at the finish. This beer is really very good. The food was pretty good as well. You can usually rely on a ‘Spoons. After more wet splashing around in Boston, I stopped off at the Eagle, a mid-Victorian boozer on a busy roundabout. A penny plain, but comfortable place, with four handpumps on the small lounge bar, Derby Triple Hop, Fuller’s Bengal Lancer, Allgates Celtic and Castle Rock Preservation. I opted for a Triple Hop, thinking its bright sunny hoppiness would make me think of warmer weather and make me feel dryer than I actually was. But who needs an excuse to drink a good hoppy beer? Sadly, Triple Hop didn’t live up to its name. There was no smell at all, and surprisingly little hop flavour for a beer called ‘Triple Hop’. You really had to reach for it. There was surprisingly little flavour of any sort, to be honest. I followed up with a Bengal Lancer, but it seems I’d found the bottom of another barrel. Hey ho. Something of a hit and miss affair in Lincolnshire for this trip, then. More hit than miss, it must be said. Up at the top of this piece, I said I’d visited six pubs in Lincolnshire, yet I’ve only mentioned five. Well, a tale hangs on the other one, and I’ll reveal all in an upcoming blog.